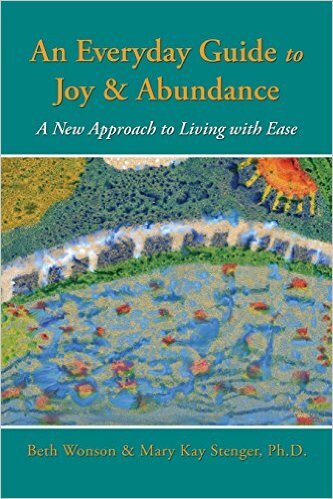 If Joy and Abundance are on your Bucket List, you will want to read Beth Wonson's and Dr. Mary Kay Stenger's guide for achieving both. These two highly accomplished professionals have teamed together to write an extraordinary book that tells a personal story of healing and transformation. Today, Beth is one of the country’s most sought-after coaches and trainers in the fields of career management and personal growth. Writes Beth: “If you are looking for more in your life, I know how you’re feeling, because this is what happened to me. "I got the jolt: my relationship went sour and the fire in my life, in me, suddenly started to go out. Beth’s transformation was magical and so was the healing process, thanks to Dr. Stenger’s expert techniques. The book consists of a narrative that alternates between the two women’s voices. With openness and candor, Beth tells a portion of her story and Dr. Stenger offers commentary accompanied by a number of exercises used during her sessions with Beth. By scientifically supporting a healing technique that addresses all issues at the soul level, Dr. Stenger is one of the first medical hypnotherapists to bridge Spirit and Science. According to Dr. Stenger, Science tells us that the heart is our own PGS or Personal Guidance System and love is Spirit’s greatest healing agent. This is a rare duet performed expertly by two radiant, fully empowered human beings. 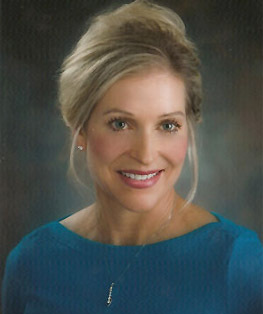 Beth Wonson is a writer, executive coach, business consultant, former public education administrator and lover of life. During her ten years with Project Adventure, Beth worked with organizations, schools, corporations and agencies, helping them implement strategies to improve communication, problem-solving, workplace culture and climate. Beth also served as director of operations for the National Indian Youth Leadership Project in Albuquerque, New Mexico. Currently she is President of Beth Wonson Consulting, www.bethwonson.com. Dr. Mary Kay Stenger has over 35 years of experience in integrative medicine as a certified Medical and Clinical Hypnotherapist, Nutritionist, and Spiritual and Intuitive Healer. She is also a Registered Nurse with experience in Intensive Care and Emergency Medicine, and has taught as a Nurse Educator. Dr. Stenger has a Doctorate in Psychology with associated advanced degrees in Health and Preventive Medicine, and Health Education Psychology. Dr. Stenger’s websites for more information, audio recordings and upcoming books are www.hypnosisforhealth.net and www.soulpathsolutions.com. “The collaboration between Beth Wonson and Mary Kay Stenger is a godsend for struggling, troubled people. "This book is so helpful and hopeful, presented in simple, genuinely kindly terms that anyone can understand and put to daily use. "For people new to the experience of soul growth, there is enormous depth to what this book has to offer. "Both writers do an exceptional job of explaining the tools used and the transformation attained. "The new enrollee, Beth, provides an in-depth understanding of her pathway to tranquility and growth. "Mary Kay is clearly a master in teaching and using the tools for attaining joy and abundance."